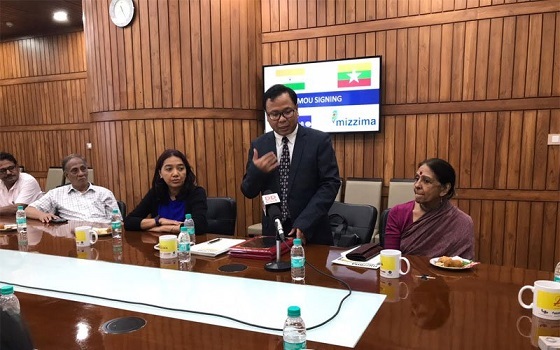 Myanmar’s Mizzima Media Group announces a forthcoming partnership agreement with India’s Public Service Broadcaster, Prasar Bharati, Mizzima News reports. Mizzima Media Company Limited and Prasar Bharati on Friday signed a Memorandum of Understanding (MoU) to codify the terms of the Agreement in New Delhi. According to the report, the agreement will realize cooperation and collaboration in broadcasting and envisions content-sharing covering a wide range of genres, including culture, entertainment, education, science, news and sports along with other areas of mutual interest. Mizzima Media Group is multi-media house reaching over 20 million viewers and readers through broadcast, digital, print and social media. Mizzima Media produces daily digital newspaper in Myanmar, a Mizzima Weekly in English, and websites in both Myanmar (www.mizzimaburmese.com) and English (www.mizzima.com). Mizzima media products such as SMS, radio news, video news and images are also available on various digital platforms and mobile phones in Myanmar. In March this year, Mizzima launched its Free-to-Air TV channel with a strong focus on youth and development of Myanmar.